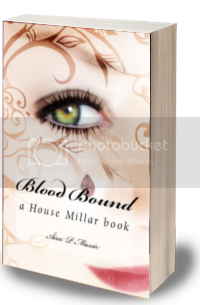 Today is the official launch of Blood Bound, book #2 in the House Millar vampire novel series. Its current reviews average is 4 stars on GoodReads.com. I have a series of launch posts coming to stay tuned! I’ll link them all below. No, no, no. This is too dangerous. I have to stop. I pulled away from his luscious throat but he used the grip on my hair to stop me. I watched with a surreal fascination as he pressed some strange metal object – it looked vaguely like a curved, sharpened thimble – into the flesh of his own neck and pulled me back to his neck. What the hell . . . Oh Gods. With a sudden gasp, I lost control. The moment his blood touched my tongue that strange ecstasy filled me again. This elixir, intoxicating and luscious, drove me into a frenzied euphoria, my body singing in delight. It was pure rapture as all of me delighted in the gift of his existence. It was over so soon, almost too soon, as I was able to still keep my mind restrained, thankfully. I started to pull away, nicking my tongue and teasing lightly over the wounds with my blood – no need for him to hold the wounds. Áine gave me even more reasons than ever to love her strong and charismatic cast of characters. Each stepped up their game in the newest book. I will be looking forward to the next instalment of House Millar, which I understand will not be from Anya’s point of view. Sounds interesting. If you love a good vampire story… Blood’s Voice and Blood Bound are great choices. I would definitely say this series is for young adult paranormal romance lovers. Although it’s a book about vampires, there are some surprisingly well thought out themes that play through out the book. She [Anya] claims her position as Mistress in more ways than one and she does so very well. I especially liked the “letter” at the end! Definitely got me ready for book three! I was pulled right into the story. This book starts right where the last one ended. I enjoyed reading more about Anya’s back-story and got to know some more characters and their back stories. I recommend this book for paranormal romance fans for its sensual scenes and titillating drama. Áine P Massie is currently working on her third novel, Glamour Blade. 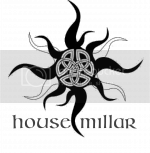 Would you like to interview me or one of the characters from the House Millar series? I’m always interested in interviews so if you have an audience that might enjoy Blood Bound, or Blood’s Voice (Book #1 of the HM series). 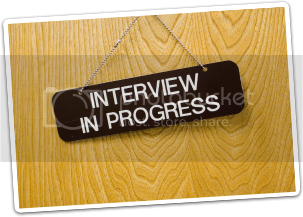 For interviews, quotes and other inquiries please contact me at anya.millar@gmail.com. Hi Andrew, thanks for stopping by the House Millar. I’m so excited to have you visit. 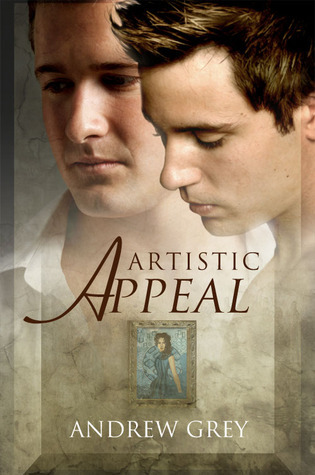 Today we are focusing on Artistic Appeal, part of the Bottled Up series. I have a few questions for you . . .
Yeah . . . Six Sentence Sunday! How about another 6 sentences from my WIP, Blood Bound – book 2 in the House Millar series? Hearing the music begin I imagined a gentle breeze blowing through the room, causing autumn leaves to dance, drawing me into the swirl and motions with them. I quickly became lost in the fluid motions and sensuous pulsing of the music; the wanton abandon that always seemed to accompany dancing, whether for self or others. As my body arched up, twisting and undulating to the life and love, I became ‘living’ art for those few Lady Shirin had gathered here. I knew what such motions did to my own lovers but was not sure how the others would react. I had been nervous prior to the music starting, since I hadn’t danced like this for anyone other than my teacher and some of my family. I didn’t have to worry about how I moved; no risk of discovery here. Melanie is a twenty-five year old chemist who has spent all of her adult life slaving at school. With her PhD in hand, she’s to start her dream job, but before she does, her friend persuades her to relax and try to live again. A blind date set up through her friends seems like the perfect solution. Melanie can take one night away from the lab and let her inner vixen out on a fixed blind date – a chance to get crazy with a perfect stranger. The gorgeous hunk she’s to meet exceeds her wildest dreams – but he is more than what he appears and Melanie’s analytical mind goes into overdrive. Yea . . . Six Sentence Sunday! How about 6 sentences from my WIP, Blood Bound – book 2 in the House Millar series? I knew exactly what he’d just gone through, though I didn’t know how deep the connection was – did he watch or did he feel too? “What he just witnessed and to an extent felt was . . .” I couldn’t find the words to explain such sick, vile, wickedness. If you have a Twitter account, you can add the hashtag #sixsunday to your tweets when you tweet a link to your Six Sentence Sunday post. If you’re a writer (regardless of published/ unpublished status) come join us!